Ocean Eyes spans many genres. Sometimes writing music articles is one of the most difficult things in the world. You are trying to wrangle words to pigeonhole expansive sounds into something that lives in the concrete world of print. That’s the case with Steven Hobert’s soon-to-be-released album Ocean Eyes. The 14-track album travels down jazz, classical, folk, rock, and funk paths while never being beholden to any of them. 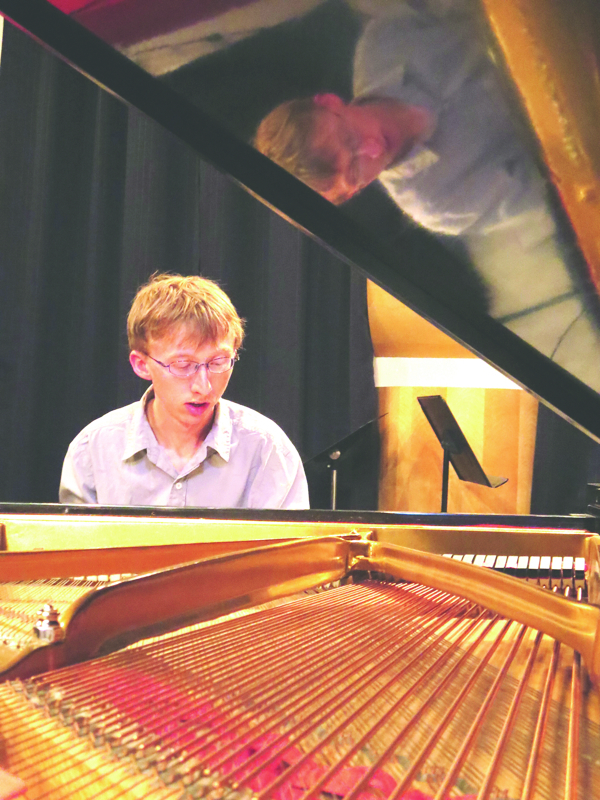 Hobert was a mainstay in the music scene in Eau Claire, playing at the magical jazz nights at the former Stone’s Throw, most weekends at the Shanghai Bistro and on the stages of Gantner Concert Hall and the State Theatre. Beyond that he earned his chops touring for more than a year with the legendary Glenn Miller Orchestra. He has settled in Minneapolis and plays throughout the region still. It’s playing without restriction that built the backbone of this album. When he entered Wild Sound Recording Studio last November to record as a duo with Lynn O’Brien he didn’t have much clarity on what he wanted to communicate through his music. From listening to those initial recordings Hobert knew he wanted to make an album that was unique and showed his style. Then after several late-night brainstorming sessions, at 7am the concept for the album came to him: improv. “I feel like improvising encapsulates some of my spirit,” Hobert says, “Not just with music but in everyday life. I consider myself a wanderer or explorer trying to figure out what’s down every alley. When playing live Hobert says that he gets the impression that his audience is captivated because they can feel his emotions, which underlie his playing. The pre-arranged compositions and covers on the album still have that element of wonder. Each song almost seems to go into itself and try to find the true emotion at the core. This wandering spirit shines in “Alberti Bass Blues.” On which Hobert skips among a lively minuet, a foreboding anthem, a ragtime jam, and many other places in-between in the matter of six minutes. Though you never feel forced down the path, you are just feeling it as Hobert guides you along, playfully asking you to keep up the whole time. Hobert’s take on “Minute Waltz” interprets this classical mainstay with precision and grace. At the end of this tune he even yodels just to remind you what this album is about. His cover of Dylan’s “Lay Down Your Cards” is also amazing, his voice sounds like a mix between a young Donovan or Van Morrison (though without a Scottish accent). The song builds gently into his duet with O’Brien and heartfelt playing make you realize that, for a moment, this is the most important song in the world. Then finally, you get to let out your breath. Before the Sept. 19 album release you can watch Hobert’s original composition “And The Birch Trees Danced” on YouTube. A large ensemble moves between Americana, folk, and smooth jazz. The piece was composed as a wedding recessional to be played on a boat on the St. Croix River. That new joy is captivating and shines through in the song. 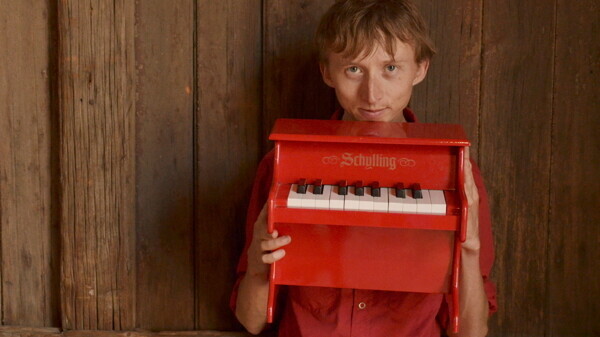 You can see Hobert perform at 7pm Sept. 19 at Volume One World Headquarters, 205 N. Dewey St. I don’t know why you wouldn’t want to wander down.